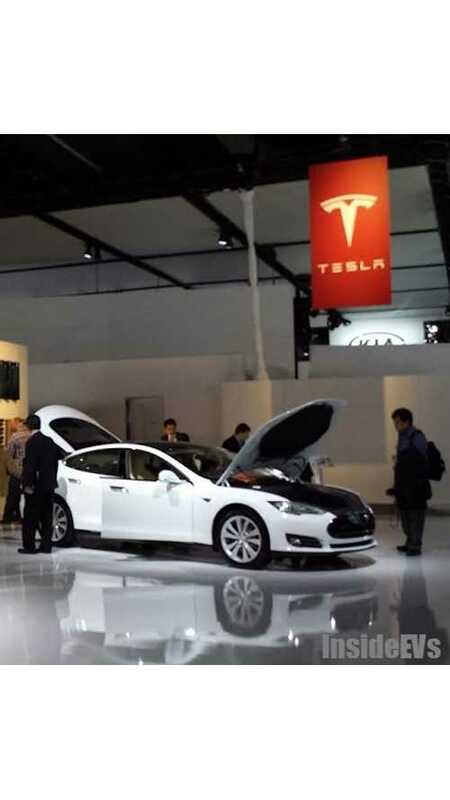 One of the overlooked points of discussion at the 2014 NAIAS was Tesla Motors' comment on Gen III and the electric truck that Tesla CEO Elon Musk mentioned on more than once occasion. First up, the electric truck. Tesla's official stance on the electric pickup is "We are busy enough at the moment with our plans for the Model X and third generation car." That's the remark made by Tesla vice president Jerome Guillen from the show floor in Detroit. As for Gen III, that "remains on track for launch in three years." So, 2017 then. We at InsideEVs do believe the electric truck is coming, but we don't see it in Tesla's pipeline until 2020-2022. So, you'll have to wait like half a decade before you get a glimpse of Tesla's electric truck.